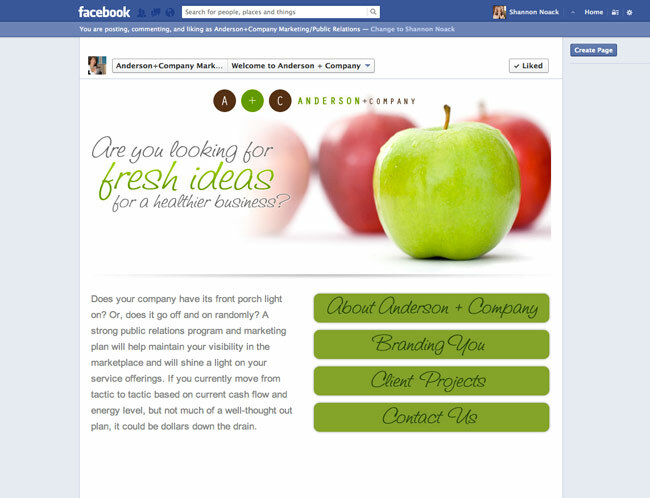 Anderson + Company also needed a Facebook tab where users could get a better idea of who they are. The style matches the look of their website as well and includes a few elements from it to incorporate their branding. A brief paragraph gives users a quick overview of the company and then users have 4 buttons to the main pages on the site so they can see more information.